Heading into the 2018 college football season, nine current USC players have been featured on watch lists for various individual awards. In all, players received 16 nominations for 10 different awards. 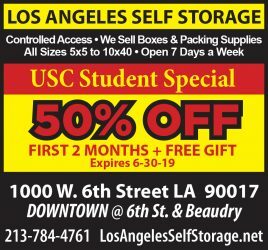 Despite having no members of the 2017 USC football team take home awards a year ago, offensive coordinator Tee Martin and former quarterback Sam Darnold were both recognized as nominees for the Broyles Award (the nation’s top assistant coach) and Walter Camp Award (player of the year), respectively. 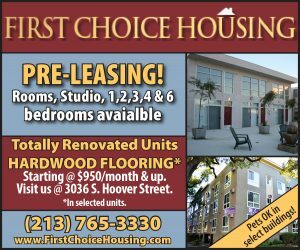 Of all USC athletes recognized, senior linebacker Cameron Smith and senior safety Marvell Tell III led the way with three nominations each. Smith and Tell were both nominated for the Bednarik Award (outstanding defensive player of the year) and the Bronko Nagurski Trophy (best defensive player in college football) after the two seniors compiled fantastic performances in 2017. 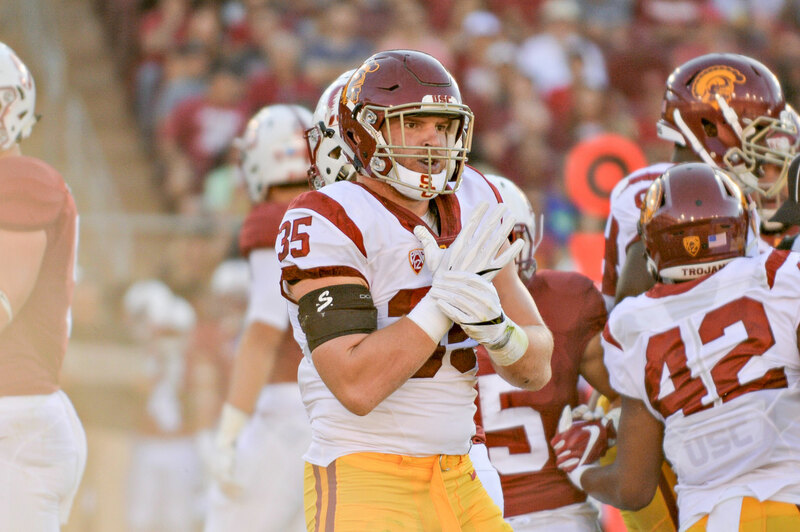 Elsewhere on defense, senior outside linebacker Porter Gustin is being watched for both the Bednarik and the Butkus Awards (best linebacker in college football) heading into 2018 despite only playing in four games last season. Meanwhile, redshirt junior defensive lineman Christian Rector is also drawing the attention of Nagurksi Trophy voters after his outstanding 7.5-sack campaign in 2017. Finally, senior cornerback Iman Marshall has been mentioned alongside Tell as a candidate for the Jim Thorpe Award, an honor bestowed upon the nation’s best defensive back. While the Trojans have a slew of defensive athletes on watch lists, the USC offense doesn’t lack representation either. Leading the way is sophomore running back Stephen Carr who has been put on preseason lists for the Maxwell Award (college football player of the year) as well as the Doak Walker Award (nation’s best running back). After a breakout freshman season in which Carr battled through injuries to deliver in clutch situations against Western Michigan and Texas, the sophomore tailback again looks to be a difference maker in the USC offense in 2018. Furthermore, senior lineman Toa Lobendahn has been recognized as a candidate for the Rimington (college football’s top center) and Outland (nation’s best interior lineman) trophies. 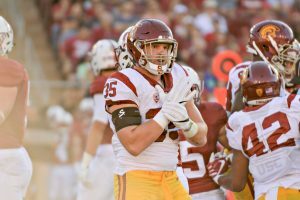 Having played just about every position along the offensive line in his Trojan career, Lobendahn’s status as a premier run and pass blocker could notch himself some awards by the end of the season. Additionally, senior tight end Tyler Petite has been named to the Mackey Award watch list for the nation’s top tight end. Although many Trojans have been nominated for the award since its creation in 2000, no USC player has received it since Fred Davis in 2007. Lastly, the Trojans also have a special teams player who has been recognized for a potential award at the end of the season. Redshirt junior long snapper Jake Olson was named to the Wuerffel Trophy preseason watch list as one of the nation’s leaders in community service along with academic and athletic achievement. Entering his junior year, Olson played in two games in 2017 long snapping in home wins over Western Michigan and Oregon State. The trophy would not be the first time Olson was honored for his play or off-field excellence: He was a semifinalist for the Jason Witten Collegiate Man of the Year Award and was also named Pac-12 Special Teams Player of the Week in 2017.